The market place has always been the centre of the district, but late-modern market buildings and their service area occupied the public space. 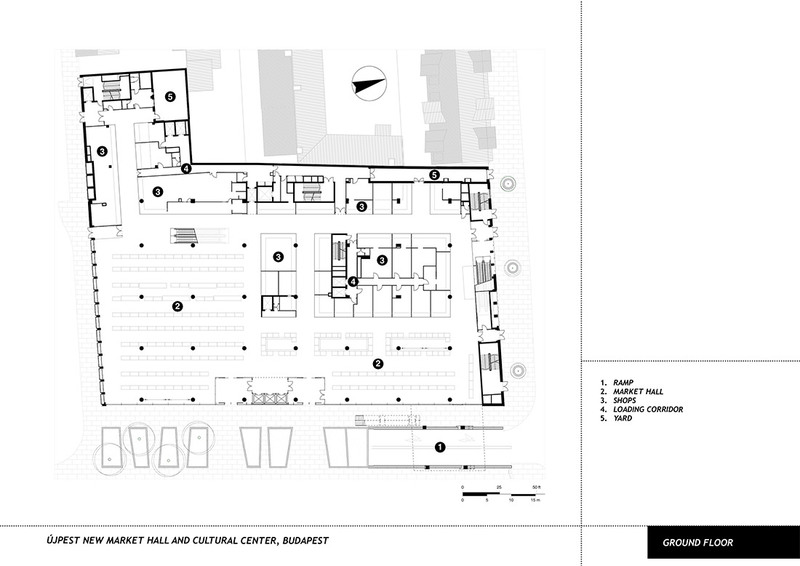 The purpose of the current transformation is to give this space back to pedestrians by replacing the market. 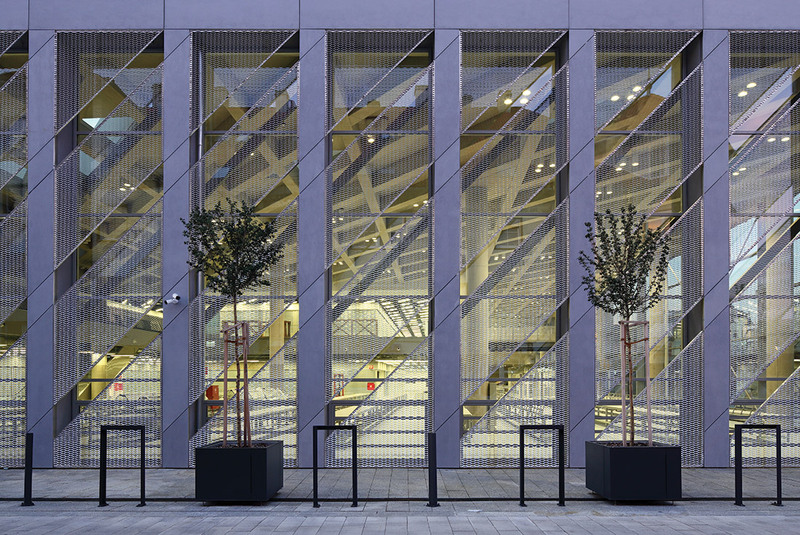 The new hall, in front of the old one, deposes all loading, storage and parking facilities to underground levels. 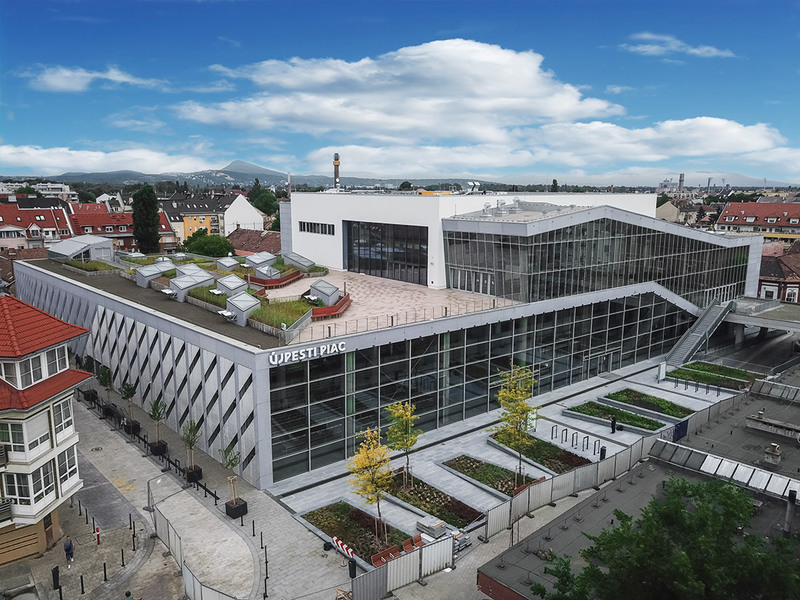 Therefore, it can be the continuation of the prospective outdoor public space, while the two-story cultural centre on the top is a vertical extension. 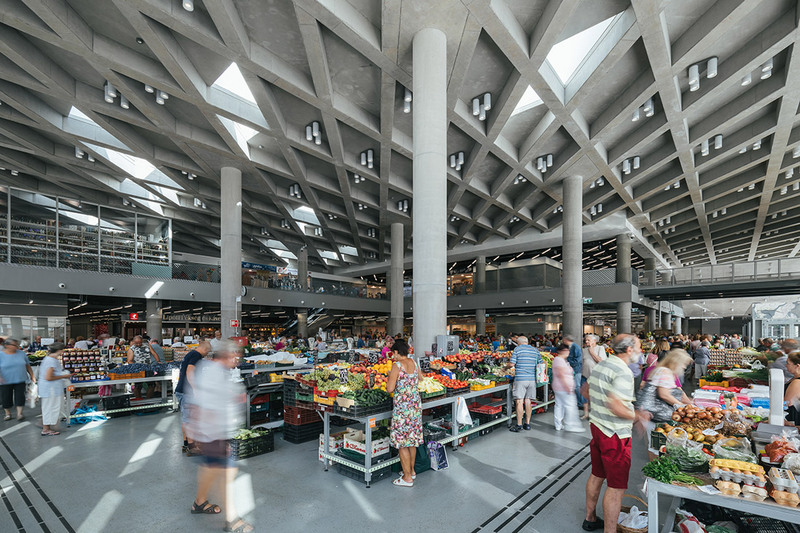 Then the building is opened both programmatically and visually, it exposes all its operational systems, structures and materials, and it is a neutral framework of a colourful market and cultural life. 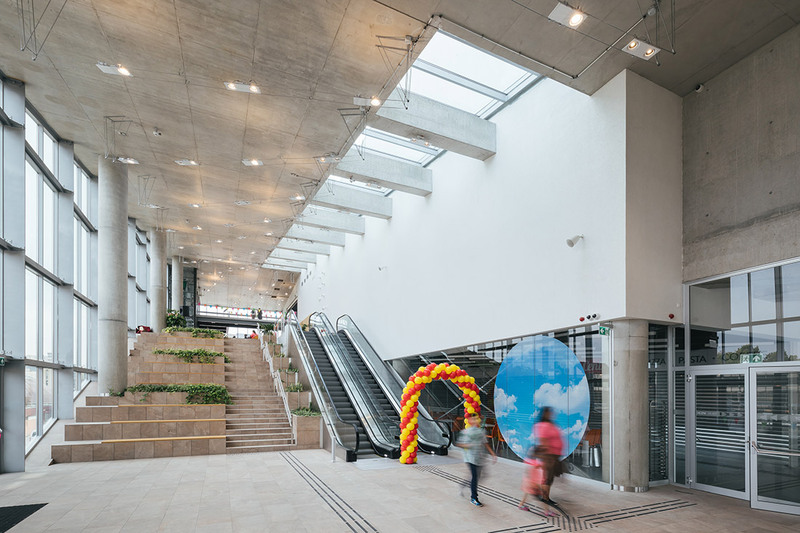 Since the upper levels have to be attractive and accessible, a visually accentuated lobby was placed in the face of the square. The transparent lobby is to be a link between a prospective promenade on the first floor and the rooftop garden on the second creating a flowing green public space. 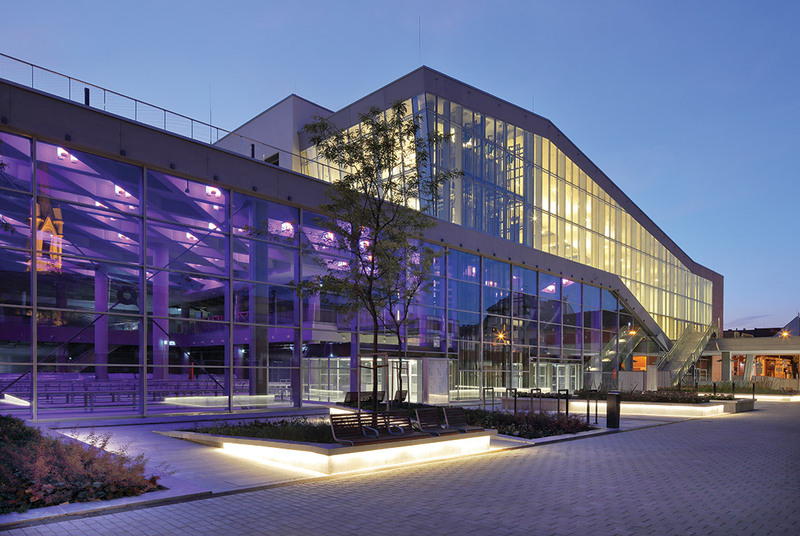 The building is the extension of the central square of Újpest district as both horizontal transparency and the mixed-use vertical density of a market hall and a cultural centre. The St. Stephen square has always been an agora, a social, cultural and economic meeting point for citizens, and it is affirmed now by the new building and the forthcoming reconstruction of the square itself in concept. Client: UV Újpesti Vagyonkezelő Zrt.